I pray that the peace and joy of our Lord Jesus Christ and our spiritual father Saint Francis of Assisi are with you and, in you, overflowing in life-giving abundance to others. “We must radiate” the love of God i. 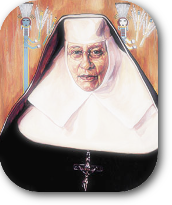 It is by radiating that life giving Agape “LOVE”ii,iii that we will attract our brother and sister Catholics and help them hear the call to vocation increasing the “Helpmates” answering the call of Jesus to Saint Francis, go rebuild my Church. As I discussed in my November letter, and spoke of at the recent regional gathering, we are called to be Jesus’ helpmates, building and rebuilding the church in love and fraternal perfection, to radiate the spirit of Francis and of Jesus! This nuptial relationship with Jesus makes our profession sacred and our fraternity sacred. We need to protect both our profession and our fraternity, and the best way to do that is a healthy and strong formation process. Thank God for those who have gone before us! They have laid a very good foundation and given us the tools we need to do this important and noble task. We have the FUN Manual, the Regional Formation Guide, and the Franciscan Journey. We also have each other and sources on the SKD Region web site. I want to start with a very simple one-page document that gives you an immense amount of aid: the “Pathway to Profession” Chart (the chart can be also be found in the regional formation handbook, second section, page 43). For this month, I will focus on the First Contacts. 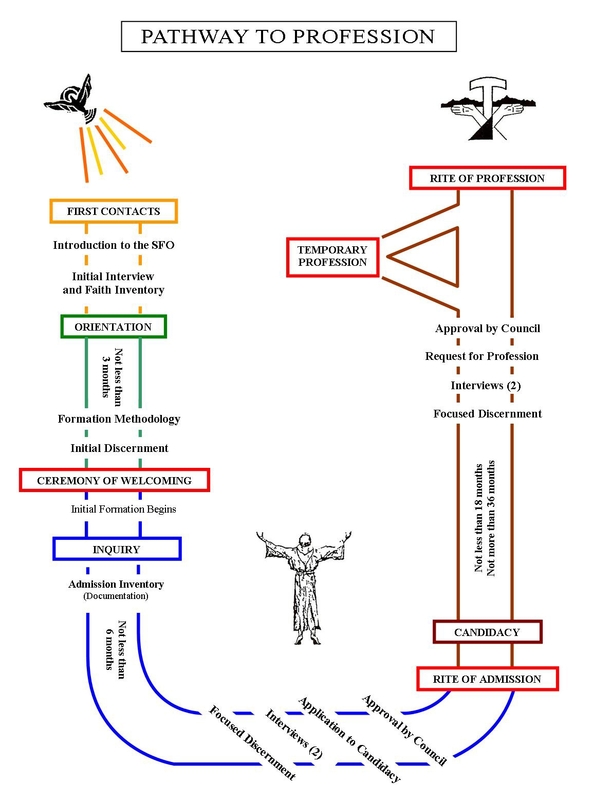 The chart tells us to conduct initial interviews and Faith Inventory. I cannot over emphasize how important this simple step is and, if done properly, can help you avoid problems in the future. It can also help the individual going through the process to overcome any simple impediments in their faith. A careful and slow read of the form will give you a very good idea of how detailed this interview is. It gives you the opportunity to find out very specific information about the person. And note that anyone who is not comfortable answering any of the questions should send up that RED FLAG. Don’t be afraid to ask your own, additional questions. For example, if you ask questions about sacramental development, and the person says that he does not have any record of being confirmed, ask some more questions concerning his family of origin and faith development. If an irregularity is found, assist the person by directing him to a parish priest for resolution. All irregularities or perceived impediments should be resolved before initial formation begins. A question that comes up fairly regularly is “What about a person who is in the RCIA program?” Can they start the initial formation process? After all, most RCIA programs are one year and our formation can be three years. The answer is simple, although it makes some people uncomfortable. If a person is in RCIA, they are not yet Catholic. To start the process a person has to be a catholic in good standing who has received all the sacraments of initiation. Also, as a former RCIA director, I would not have wanted any of my Catechumens distracted in any way. Their entire focus needs to be on their journey into full communion with the church! Next month we will start discussing the importance of reference letters. I use three at a minimum. More on that next time. iii H. G. Liddell; Robert Scott (October 2010). An Intermediate Greek-English Lexicon: Founded Upon the Seventh Edition of Liddell and Scott’s Greek-English Lexicon. Benediction Classics. p. 4. ISBN 978-1-84902-626-0.